Coal was originally reported in the Drumheller, Alberta region of Canada during the mid to late 1800’s and the first mines opened in the early 1900’s. The region was one of the major mining areas in Canada, producing 56,864,808 tons of coal from 1911 until it shipped its last load of coal in 1979. Now the Atlas Coal Mine National Historical Site stands as one of the most complete coal mining museums in Canada. 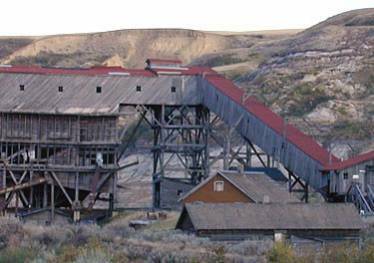 In October 2010 Portland Bolt was approached by a timber framing company to supply the hardware required for the restoration of the historic Atlas Coal Mine in East Coulee, Alberta. The project required numerous 2-5/8″ and 4″ shear plates, as well as hundreds of custom manufactured square head bolts to match the original rustic look of the mine. With our in-house manufacturing capabilities and large inventory of shear plates, we were able to meet the customer’s expedited time schedule and exceed their expectations.